Using video in your recruiting and retention strategy is a terrific way to attract today’s top talent. You may be asking, “What’s the big deal? Why do we need to incorporate video?” Here’s a little food for thought. In February of 2017, it was estimated that people are uploading 500 hours of video each MINUTE to YouTube. Just in case you’re doing the math, that’s 65 years of video each day. We’re also watching one billion hours of video content every day. (Yes, that’s BILLION with a “B.”) With that much video being consumed, there’s a good chance that your potential hires are looking for your company online before they determine if they even want to interview with you. Think about your current website from an outsider point of view. When you go to your site, what do you see? Is there a bunch of corporate mumbo-jumbo and marketing-speak or does the applicant find an organization that would be a cool place to work? When interested applicants visit your site, they want to not only learn about your company, they want to get a glimpse into what it’s like to work for you. Video gives you the opportunity to showcase employees, reveal your company culture, and offer insight into what a “day in the life” looks like. Recruiting. You’re using online resources to search for candidates anyway, so why not embed video into your job ads? The nice thing about this strategy is that the use of video increases your SEO, making your job opening more likely to show up in a candidate’s search results than those ads that don’t include video. You’ll set your company apart from your competitors that are vying for the same talent. Interviewing. Video can widen your talent pool by giving you the opportunity to interview candidates who are out of the area. 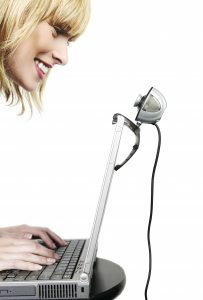 There are plenty of tools including Zoom, Skype, Google Hangouts and FaceTime which make it easy, cheap, and convenient to personally connect with candidates. You may also be able to record these interviews so other members of the hiring team who couldn’t make it to the meeting can still view the interaction. Experiencing. Use a sped-up time-elapsed version to create a “day in the life” video, so potential hires can see what goes on in your facility. These videos resonate with candidates because it lets them see themselves in the position and they can determine if there’s a good fit. It’s always better to know if the hire is a good match BEFORE you spend all the time, money, and effort on an employee that doesn’t make it through the initial training. Welcoming. Send your new hires a video to welcome them to your company before they walk in the door for the first time. One client uses a “Video handshake” where employees film a short video about themselves – their interests, likes, responsibilities, fun facts– whatever, and they put it in the email signature. Now your new employees will recognize the people they work with – before they personally meet. It’s a great way to make an immediate connection. Training. Capture your employees doing what they do and adapt these videos for training purposes. One machine shop had a press operator wear a Go-Pro camera so they could capture exactly how he performed his job. The worker didn’t mind doing it because he didn’t have to explain what he did – he just had to do it. Creating a training series also ensures that a consistent message is being given to new hires and gives your managers some of their time back. Reinforcing. Let your employees share why they like working for you. Give your employees the chance to be in the spotlight. Let them share the reason they joined your company, what they have learned since coming on board, what their responsibilities include, and why they enjoy working there. By allowing your current team members to share their perspective, they may answer many of the questions that potential hires may have. It also gives them the opportunity to share their pride in working for you. Ongoing. Keep your videos up to date and post often. Get creative and get your employees involved in creating their own fun videos. Not only will they enjoy the “bragging rights” that come along with starring in the videos – they will share their videos with their friends – another potential source of candidates. A video is a valuable tool to connect with and engage potential hires as well as your current employees. Have fun with it. Don’t take yourself so seriously, these videos don’t have to be Hollywood blockbusters – the more real and authentic, the better. Remember, when you create a video that has the potential to be shared (or even go viral), the opportunity for positive exposure that you’ll get increases exponentially.